"One role or another"? What is he talking about? 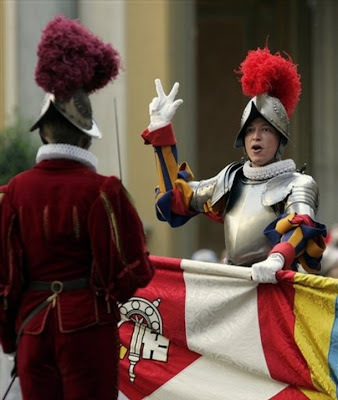 The role of the Swiss Guard is to be a mercenary, a military guard for the Pope. If a Swiss Catholic woman meeting the other requirements wants to be a guard, I don't see what disqualifies them.